Little Girl Who Needed Lung Transplants Due To Go Home : The Two-Way Sarah Murnaghan, now 11, had only weeks to live earlier this summer when a judge ordered that she be moved up a transplant waiting list. Her case sparked a review of national organ transplant policy. Now, she's recovered enough to soon be able to go home. Sarah Murnaghan, center, on May 30 as she and her parents marked the 100th day of her stay in Children's Hospital of Philadelphia. Her father, Fran, is at left. Her mother, Janet, is at right. Sarah Murnaghan, whose plight prompted a national debate about transplant policies when she came close to dying while waiting for new lungs, could leave a Philadelphia hospital as soon as Tuesday, CNN says. Sarah has turned 11 since we last checked in on her. You might recall that back in June, with doctors saying the effects of her cystic fibrosis had gotten to the point where Sarah had only weeks to live, a federal judge ordered that she be moved up the waiting list for a lung transplant. The judge intervened to overrule Health and Human Services Department regulations that give priority to patients age 12 and older. Her parents' fight to get new lungs for Sarah "has temporarily changed national policy" on transplants, CNN writes. A first transplant didn't work. The second time, though, Sarah's body accepted the new lungs. 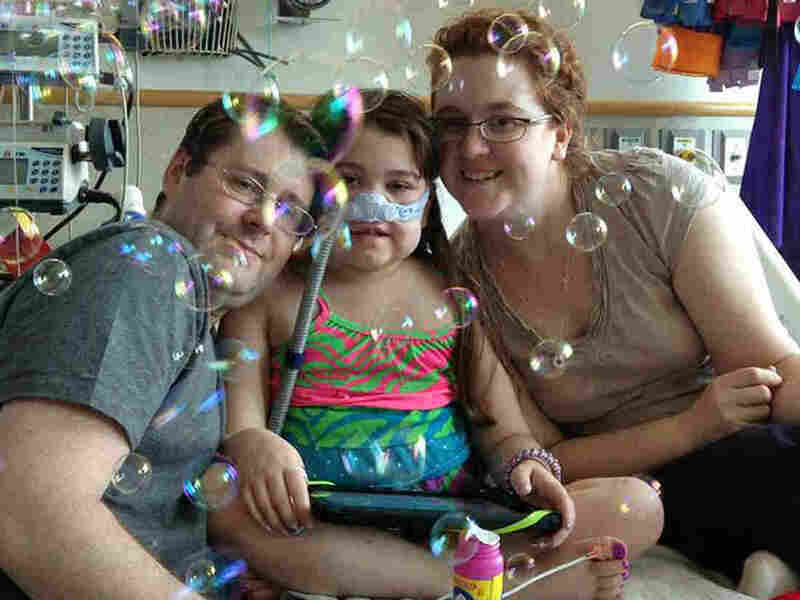 Now, parents Janet and Fran Murnaghan say Sarah "could be discharged from Children's Hospital of Philadelphia as early as Tuesday," the news network adds. "Because she was in a medically induced coma and essentially paralyzed for more than three weeks, Sarah's body needs to relearn many things, including how to walk. Her physical therapy sessions can last for three hours each day and include weightlifting and cardio components."